Helpline offering information and support for anyone concerned about the abuse of an older person. 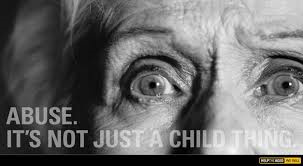 Action on Elder Abuse promotes changes in policy and practice and aims to raise awareness about the treatment of older people. Training for care staff. Conferences. Talks. In this guide we look at the most common and useful mobility aids, ranging from walking sticks and frames, to wheelchairs and mobility scooters. We explain the choices that are available and, when it comes to mobility scooters and wheelchairs, the different opportunities you have for hiring as well as buying them. If your relative now has poor mobility, there is a wide range of mobility aids that could help with access and avoiding falls. Our guide steers you through the choices. You may know that your relative would benefit from a walking stick, walking frame or a mobility scooter, but how do you set about choosing one and then buying one? The Which? Elderly Care website offers you a wealth of information on financing care. But sometimes a friendly phone call with a knowledgeable expert is all you need to get you on the right track. 1. Arrange a call back at a time convenient to you with one of our experts. Call 01992 822891 between 9am and 5pm, Monday to Friday. 2. Receive an email from our booking team asking for a few key details to help us best answer your questions. 3. Prepare any documentation ahead of the call so that you have all the information to make the most from your 15 minute free call. These documents could include information on pension provisions or any allowances provided. ~ Your 15-minute phone call will be free of charge and allow you to quiz our money experts on your financing care needs in the UK, such as how to pay for a care home or care at home and applying for the attendance allowance. ~ The helpline allows you to go beyond the information we provide on our site and receive personal guidance on your individual circumstances. ~ You can ask us any question about financing elderly care. We can’t give you regulated financial advice, but you will always get personalised assistance with your query. ~ If we can’t help you with your concerns, we’ll do our best to guide you to an organisation that can help. ~ This pilot service is free as it is a part of our commitment to providing unbiased advice to consumers. 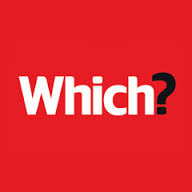 As a not-for-profit charitable organisation, Which? ploughs the money from our commercial ventures back into our campaigns and free advice services. We recommend you read the following guides to prepare for your call. Within the care system, preventing falls in older people has an increasingly high priority as falls and fall-related injuries are a common and serious problem for older people. Here we explain who can help in preventing falls and identify common causes of falls and how to deal with them. You want to do everything possible to reduce the chances of your relative falling again. This may require a care plan that involves either private or NHS support. Several factors can cause a fall, including how older people move, sit and stand. We have advice on common hazards in the home. The NHS has some practical tips to reduce the risk of falls at home, such as what to wear and how to make the home environment safer. The Jumbulance Trust is an accessible travel charity that exists to make it possible for severely unwell or disabled persons to embark on holidays or day trips with the help of our ‘Jumbulance’ coaches. The Jumbulances are available to hire by groups of people, including disability groups, care homes, hospices, schools, disability sports groups and other organisations. Where can the Jumbulance travel to? As an accessible travel charity, we have made many of our passengers smile by providing them with transport for their voyage and made many memories along the way. Got a group trip to an event this year and are unsure of how you will get there? Our friendly team would be more than happy to help. Jumbulance Trust is a registered accessible travel charity that relies on kind donations and supportive volunteers to operate. Our vision is of a world in which adults and children with disabilities are able to maximise their quality of life through social and travel opportunities. To make it possible for adults and children with disabilities or who are severely ill or significantly dependent and find the facilities on most forms of public transport sadly lacking or inappropriate to travel in specially designed and equipped vehicles, based on a coach and ambulance configuration and known as ‘Jumbulances’. Days out with Jumbulance Trust are now an established and expanding activity. What is 3rings trying to do? The inspiration behind 3rings is Steve’s 84 year old mum and Gareth’s nan, we wanted to find a simple way to help families look after their ageing loved one’s, regardless of distance and time pressures. It was that focus that led to the invention of the 3rings Plug — the plug that cares. Where does the 3rings name come from? In the time before mobile phones and the Internet, communication between families was limited. 3 rings was a code that families created to ‘know’ if gran was ok or had gotten home or kids were just leaving their friends etc etc. It worked like this: one person would use a good old-fashioned telephone to ring the family number and let it ring 3 times; that ‘code’ said I am OK.
3rings Care has taken that simple concept and enhanced it for the world of the Internet so now all the family can be kept in the loop. Able Community Care 01603 764567, www.uk-care.com - Arrange live-in carers for an elderly or disabled person in the UK. Aid for the Aged in Distress: 0870 803 1950, www.agedistress.org.uk - Makes emergency grants to enable elderly people to cope with living alone. Grants for essentials such as heating, bedding, cookers, carpets, curtains, furniture, repairs, telephones, alarm connections, clothing. Alzheimers Society. This organisation has been mentioned several times on this site. Information, support, advice and referrals to appropriate organisations. The Cinnamon Trust: 01736 757900, www.cinnamon.org.uk - National charity for elderly or terminally ill people and their pets. Network of volunteers who can visit homebound owners to take dogs for daily walks, foster pet as one of their family when owners face time in hospital, take pets to the vet, by pet food, clean budgie cage, have national register of nursing homes and residential homes and sheltered housing for elderly that will accept residents and their pets. Can arrange care of pets when owners die. Contact the Elderly: 0800 716 543, www.contact-the-elderly.org - To enable very elderly people living alone to enjoy social contact, bringing companionship into their lives. Independent self run groups of volunteers and elderly housebound people are formed in a particular area. Once a month on a Sunday afternoon, each group (of some 6 volunteers and 8-10 elderly people) meets in the home of a volunteer host. Elder Abuse Response: 0808 808 8141, www.elderabuse.org.uk - Helpline offering information and support for anyone concerned about the abuse of an older person. Elderly Accommodation Counsel: - First Stop Advice for Older People, 0800 377 7070 , www.housingcare.org - Helpline for older people, families and agencies. Guidance, advice and information to help callers choose and fund the accommodation most suited to their needs. Maintain a national database of all forms of accommodation for older people. Dementia UK: 0845 257 9406, This organisation has been mentioned several times on this website. www.dementiauk.org - Telephone or email advice and support for family carers, people with dementia and professionals provided by experienced Admiral nurses. Friends of the Elderly: 020 7730 8263, email: enquiries@fote.org.uk, www.fote.org.uk - To support older people, often frail, confused or with dementia, to maintain a level of independence and choice by providing a complete range of services for them, provides home visiting services, run day centre facilities. Grandparents Apart - Self Help Group Scotland: 0141 882 5658, www.grandparentsapart.co.uk - Support for grandparents apart from their grandchildren. Grandparents' Association: 0845 434 9585, www.grandparents-association.org.uk - Helpline and other advice and support services for all grandparents, particularly those denied contact with their grandchildren or responsible for their upbringing. Support Groups. Charity that champions independence for older people. Aims to help older people on low incomes to live independently with dignity and peace of mind by providing a regular extra income, grants for emergencies, equipment to aid independence, support and friendship of volunteers, nursing and residential care and help with fees. To improve the quality of life for older people in the UK on low income by tackling isolation, loneliness, pain, fear, especially for those who live alone. The NBFA does this by giving direct practical help in three specific ways, free holidays, free TENS machines, free emergency telephone alarms for those on low income. To provide social events for widowed, divorced and separated people and other single people at 64 clubs nationwide. National Federation of Women’s Institutes: 020 7371 9300, www.thewi.org.uk - Arrange monthly meetings with speakers, demonstrations, activities, learning experiences for women. Pets As Therapy: 01844 345 445, www.petsastherapy.org - Provide therapeutic visits to hospitals, hospices, nursing and care homes, special needs schools, and a variety of other venues by volunteers with their own friendly temperament tested cats and dogs. 020 7339 8500 – Ring for details of local group. Relatives and Residents Association: 020 7359 8136, www.relres.org - Telephone advice and support services for older people living in nursing and residential homes, and for their families and friends. Referrals to 25 local volunteer run groups across the UK. Local groups provide information and enable people to share experiences. Seniors Network: www.seniorsnetwork.co.uk - Website with lots of useful information - computers/interests, health, money, pensions, making a Will, leisure, travel - an information resource for older people and their organisations. Encourages all seniors to take an interest in technology, computers and internet. The Stroke Association – 0303 3033 100 www.stroke.org.uk information, advice, latest research, Talkstroke discussion forum. To support the needy and marginalized by person to person contact. Activities include helping the elderly, sick, unemployed, lonely, bereaved. The Silver Line: This website has been mentioned several times on this website. Free confidential helpline providing information, friendship, advice to older people. Open 24hrs a day every day of the year. Can link callers to local groups and services, offer regular befriending calls, protect and support those who are suffering abuse and neglect. www.laterlife.com - Information for over 50s includes features, travel, health, leisure, retirement courses, jobs and working in later life. Understand how to deal with common concerns about elderly parents and other relatives, including dementia and falls. Elder Abuse Response is a confidential free phone number open weekdays from 9 am-5 pm providing emotional support, advice and information on elder abuse. Provides a network of centres throughout the UK that aim to improve disabled and older people's access, reliable information and advice about products and equipment for easier living. ABLEize is a disability resource directory offering a huge range of disability, mobility and health resources as well as links to other useful mobility websites. Previously known as the Royal National Institute for Deaf People, AHL is a charity that provides excellent information for people with partial or total hearing loss. Independent charity giving advice to older people, including advice on finding, choosing and financing home care services. The charity also runs handyperson services offering older people help with small jobs around the home. A charity aimed at improving the lives of people living with dementia. Their online shop has many products specifically for dementia sufferers. BHTA is the UK’s oldest and largest healthcare association. Its members make or sell assistive technology products and its Code of Practice is overseen by the Trading Standards Institute (TSI). As well as providing advice, it also deals with complaints independently, so it’s worth contacting them if you have any problems with a mobility scooter manufacturer or supplier, for example. A not-for-profit organisation that enables people to buy and sell items of used disability equipment, such as hoists, stair lifts and scooters, on a direct one-to-one basis. The Disabled Living Foundation (DLF) is a national charity providing impartial advice, information and training on independent living. They have developed the Living Made Easy website to give further information about products and equipment, with links to commercial retailers. Independent 4 Life provide specialist products to assist older and disabled people looking for increased independence in their day-to-day lives. This company leases mobility equipment for holidays, and delivers it to your required destination in the UK and abroad. It can deliver to countries including Spain, Portugal, Italy, Greece, France, USA and even to the Caribbean. The not-for-profit Motability scheme allows people with a government-funded disability allowance (A Personal Independence Payment (PIP), which was previously known as the Disability Living Allowance, if your relative is already using that particular benefit) to hire a powered wheelchair or mobility scooter (or car) for three years in exchange for all or part of their benefit. As a part of the work of the Red Cross, they provide short-term loans of wheelchairs and other equipment in outlets around the UK. 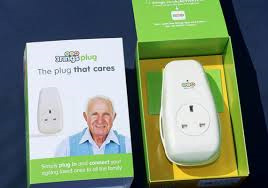 The charity’s website also features many independent living products. Shopmobility is a charity set up to assist people with mobility difficulties – whether permanent or temporary – with shopping or leisure pursuits in city and shopping centres through hiring electric scooters or wheelchairs. The UK representative body for the telecare industry. Consumers can search for providers, and get advice on different products and services available. The TSA can also give you more information about the large telecare providers. Charity offering help and advice to people with sight loss or reduced visibility. Benefit Enquiry Line (BEL) - provides advice and information for disabled people and carers on the range of benefits available. My Life Software - Software that provides communication support and interactivity for the elderly and people with dementia. Digital Life Story allows you to create, with someone with dementia, the story of their life and interact with it on-screen. The Interactive Reminiscence Aid contains photographs, video clips, music and lyrics dating back to the 1930’s - to spark recollections that can form the basis of conversations and promote well-being. /indepeWarm Front - provides heating and insulation improvements to households on certain income-related benefits living in properties that are poorly insulated and/or do not have a working central heating system. It is only available in England but similar schemes are available in other parts of the UK ie Nest in Wales ; The Energy Assistance Package in Scotland; and Warm Homes in Northern Ireland.